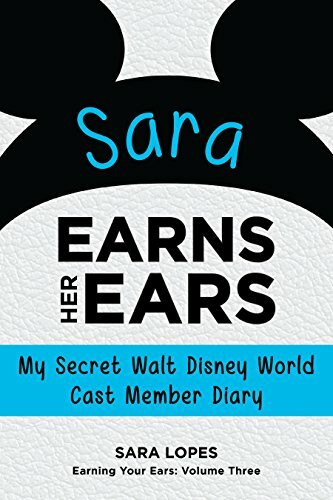 Before I was even accepted into the Disney College Program, I decided I needed to make a bucket list of things I wanted to do during my DCP adventure. I've seen quite a few bucket lists online on Tumblr and in random video blogs, so those gave me a few new ideas I had never really thought of before. Today during my physical geography class, I got so bored I noticed that in the back of my assignment book there were these little "To Do" lists. I thought, hmm...this can be perfect to start brainstorming my bucket list! So to pass the time, I started to write down the first activities that came to mind that I have wanted to do for an extremely long time. I'll share with you what I have written so far, and I'll continue to add more when new goals come to mind! Take Haunted Mansion backstage tour. Learn how to surf in Typhoon Lagoon. See all the shows offered in the parks, especially Wishes, Fantasmic, Indiana Jones Stunt Show and The Lion King. Buy a pair of Mickey/Minnie ears. Play "Sorcerers of the Magic Kingdom"
Show my best friend Holly EVERYTHING if she visits. Spend as much time with my family when they visit. Visit Wizarding World of Harry Potter. Hang out at Mickey's Retreat. Have dinner at Be Our Guest. Obviously, this list is going to grow as time goes by and ideas come to mind. But these are the first ones that I've always wanted to do! 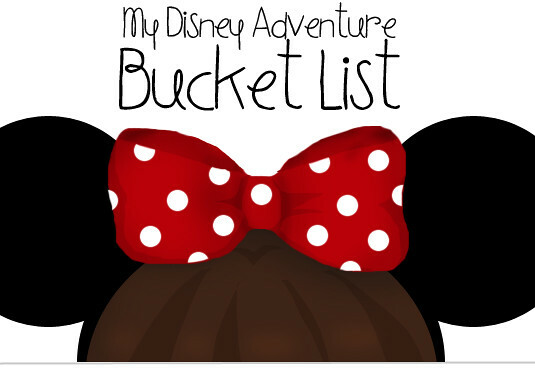 Do you have a Disney bucket list? Maybe some recommendations for my time in the program? Be sure to check The Disney Den out on Facebook, Tumblr, and Twitter! Do everything that is related to the program...get involved with extra hours, so you can try to work other places then where you are scheduled to work at. Ex. If you get into Magic Kingdom, then extra hours might be over at Animal Kingdom. Experience all the places. I wish I would have done more of that when I was down there. Sounds like great advice! I'd really love to experience working in all of the different parks. And you had better see Fantasmic! (Darn, I love that show so much.) And hurry for seeing The Festival of the Lion King because rumors are they are going to get rid of it! AHHHHHHH YOU SAW FANTASMIC!!!! WASN'T IT AMAZING!?!?!?!?! AND YOU GOT MICKEY/MINNIE EARS???? YESSSS! AHHHHHH!!!! I LOVE FANTASMIC! TO GET VIP SEATS MY FIRST REAL TIME WOULD BE UHHHH FANTASMIC! AHHHHHHHH!!! SHRIEKING AGAIN! !